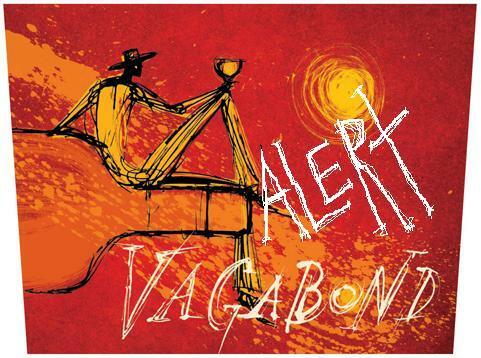 RANDON VAGABOND ALERT - THIS IS ABSOLUTELY NUTS!! OK - If you are a budget conscious vagabond and long to travel to faraway lands in Europe AND you want to throw in a side trip to Iceland for a few days, but you can't bring yourself to pull that trigger because the flights to Paris or Barcelona or Milan or anywhere else across the pond are just too steep, then The Nomad Architect has something you need to see. I mean this deal is shamadelicious, bona fide crazy and simply unbelievable. But I have checked it out and it is the real deal. If you are willing to be flexible, you can have a great trip with a side adventure in one of the most enchanting places in the northern hemisphere. Read on fellow vagabonds. This deal can scratch your wanderlust itch for a song. We will start this little adventure with one simple word - WOW. 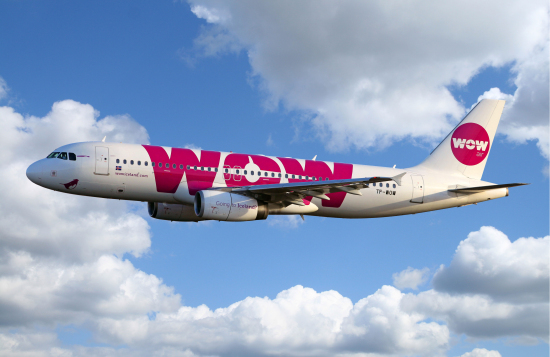 That's right, WOW Airlines, based in Iceland, is the highly rated newest member of the low cost airline market and they have recently started flights from select US airports (Boston, New York, DC, etc.) to numerous European destinations (Paris, Barcelona, Amsterdam, etc.). Much like Ryan Air of the UK, they do charge for everything, but, if you're smart, you can get to Paris and back for under $450, including one carry on and one checked bag or $350 with only one carry on. And even if you have to get to one of the airports WOW flies from, you can still do this on the cheap, compared to normal flights with Delta or other major carriers. But the good news doesn't end there. As part of their low price offers, you can fly to Reykjavik, stay a few days and wander around the beautiful small country of Iceland (It only has 330,000 plus residents), then catch your flight to Paris or some other destination and then fly back to your US destination. It's almost like a two-fer. The only catch with these ridiculous fares is the necessity to be smart AND flexible to get the lowest price or travel with one change of clothes in your single carry on and stay where washers and dryers are available. Don't laugh, I just read an article by a fearless traveler who spent a year traveling in Eurasia with one carry on bag. To assist my fellow vagabonds with this process and to help you get the lowest price, just follow this link - WOW Stopover In Iceland and additional details with this link - How Does the WOW Stopover Work?. You Gotta Find A Place Right? 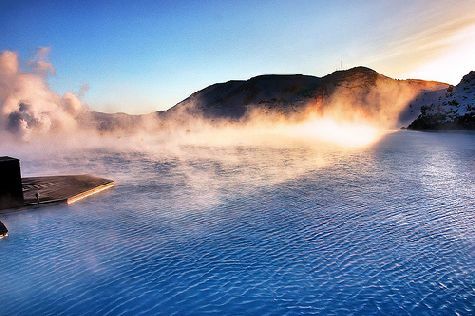 Just because I CARE and I want my readers to have the best of the best, at reasonable prices- here are some links to cool places to stay in Iceland depending on your budget. And, of course, you can utilize these same sites for your stay in Europe. I-Escape. I have personally used this great bundler for high design places many times. This link lists numerous places in Iceland that will give you a comfy place to lay your head and enjoy this small, eco-centric country from high to low price. AIRBNB. I just stayed a week in yet another killer place from AIRBNB in Sonoma and for a lot less than I would have paid in a major hotel. They have 300 plus rentals in Iceland from very cheap to very expensive. TABLET. Since you will save so much on your flights, you may want to check out TABLET HOTELS for a more expensive place to rest your weary bones after hiking the hinterland all day. So there you have it. If you have those wanderlust blues and need a fix for less money, WOW has the plan for you to enjoy some serious away time on the cheap. And don't postpone too long - the deal may go away and it starts getting pretty cold in November in The Land of Fire & Ice. OK - IT'S BEEN A WHILE BUT READ ON! My 02/15/16 post raised a few points about one of the most unique west coast environments in Central California - Carmel By The Sea. With its very dense, almost zero lot line homes built by artists, writers, actors and other famous and not so famous creative types from 1929 on, it is truly an environment that must be seen to be appreciated. So - You may want to take a quick look at that post before reading today's Part II on the lovely village Carmel By The Sea. Its restaurants, artisan shops, small museums and small "downtown" area will provide any visitor with a perspective on how people of means and artistic bent have managed to create a place of intense, small urban quality that is like no other place you will experience. DO NOT MISS EASTWOOD'S PLACE - AMAZING! First, Clint was not there the night we ate at this very old, well appointed simple restaurant. However, if you go to Carmel, this place is a must. Great food and an amazing setting make The Mission Ranch Restaurant a place that must not be missed. I highly recommend eating outside on the terrace overlooking a rolling pasture and a few sheep with the Pacific beyond. Vegans need not apply. The specialty is Slow Roasted Prime Rib - GO AHEAD MAKE MY DAY!! The food, the service, the wine. All these ingredients combine to generate this acclaimed restaurant's high ratings by people who rate such things. What a gig - huh? And nothing goes better with great cuisine than a very, very good jazz pianist. We sat right next to the keyboardist as he played some great classics and new stuff while we waited for our table. We are both jazz lovers and hearing this great jazz pianist gives this place that sense of old school and new day vibe combined. So, when in Carmel, check out this restaurant located on the original twenty-two acres along with the thirty-one room Mission Ranch Hotel. The place was rescued and saved from the condo developers by none other than the former mayor Clint Eastwood, who, we were told, shows up unannounced on a regular basis. 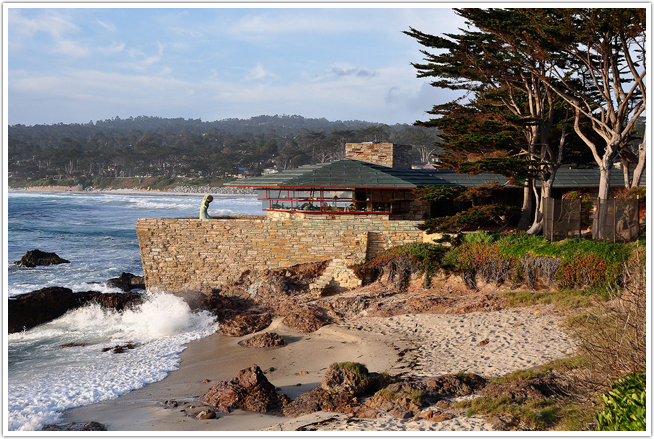 Because Carmel is not very big, it is one of the most feet friendly towns you can visit. Around every corner is a bistro, a brunch place or a bakery with great food - not to mention many small and expensive art galleries and small shops. And, of course, there is Carmel Beach, where you can hang out and dip your toes in the Pacific. The architectural flavor of the town is old school to the max with mostly wood siding bungalows and no large buildings. It is intimate and cosy. You get the feeling that you are a local, even if you're only there for a few days. One interesting architectural masterpiece on the Pacific is the Walker House - Cabin On the Rocks, designed by Frank LLoyd Wright and built in 1949. It was featured in the movie A Summer Place. However, if you want to tour the house, you need to plan on a June visit. It's open to the public only one day each year. In addition to walking the town and emjoying the food and the vibe, you must hop in your car and take a nice drive down California 1 to a culinary institution - Nepenthe Restaurant. In Greek it means "Isle of No Care". Make absolutely certain you grab a seat on a waterfront front bench/table about 200 feet above the Pacific. 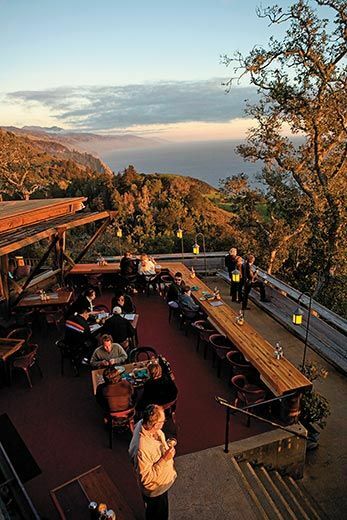 Serving hungry locals and visitors from all over the world since 1949, in a building designed by Architect Rowen Maiden, a student of Frank Lloyd Wright, this is a great day trip to the heart of Big Sur for a great meal, great atmosphere and killer views. And the leisurely drive down California's Coast Road (CA 1) with magnificent coastal views around every bend - a little over an hour - ain't too shabby either. One final suggestion - If you want to impress your significant other, reserve a view table at Sierra Mar Restaurant, which is on the property of The Post Ranch Inn boutique hotel. If you have a little bit of extra cash and you really want to impress your travel partner, reserve a Pacific Coast room at this $875 - $1,300 per night multiple award winning place. It's a tad rich for this Nomad, but, if you can pay the freight - don't hesitate. AND LET US NOT FORGET THE WINE - OH YES THE WINE! Since California produces 90% of the wine in the United states, you really can't go to this part of the country without spending at least a day or two touring and tasting some of the best wine in the world. Just get a Carmel Valley Map and go man go. The Bernardus Winery is a great place to start. If you want to pick up some delicious lemon olive oil, in addition to some great wine, check out Joullian Vineyards & Winery. And there are at least twenty other, mostly small, boutique wineries that will quench and delight your taste buds. So, if you need a few days getaway or something longer, Carmel By the Sea, along with Big Sur and other Central California must sees, is a place you should add to your bucket list. Next Up. Some thoughts on Sonoma Valley Wine Region - California Here We Come! !